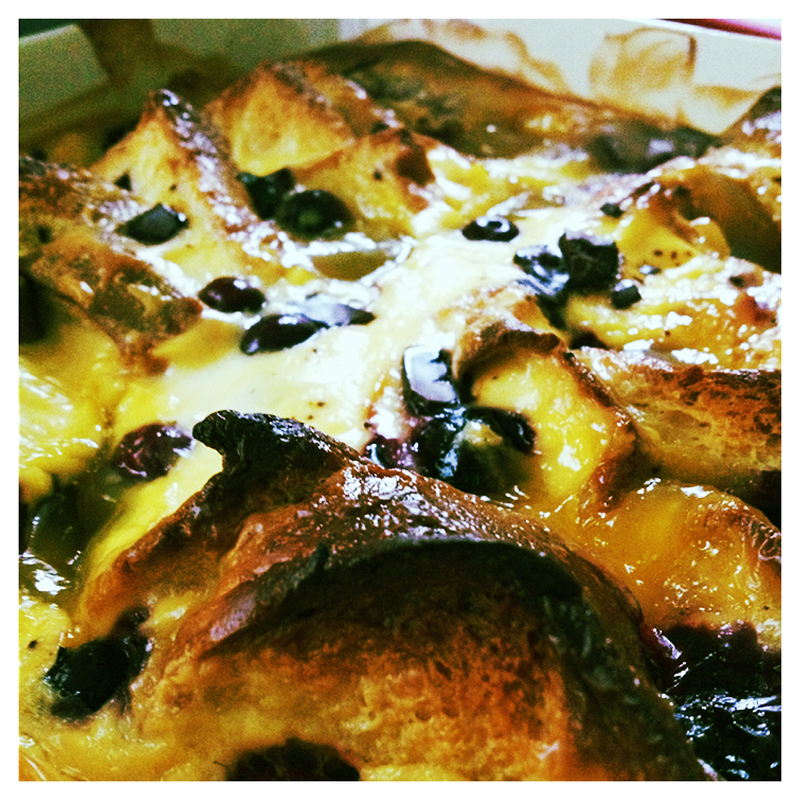 Bread and butter pudding is a bit of a classic, isn’t it? What better way to fancy up some bread but to pour cream and custard over it, sprinkle with sugar and sultanas then bake in the oven until crispy and golden? I was in the running to make a dessert for a family meal, feeding 9 people. It was actually a 50:50 split between making or buying a dessert. Making some effort, I picked up my latest issue of delicious, which I now subscribe to, and turned to the recipe index at the back. It’s a really useful feature when you want to scan for some inspiration. My eyes hovered over the above recipe, I turned to the page and it was decided, I would be making this! The fact that the bread in question was brioche was a bonus. Lemon curd, too, as I love lemon in food, especially desserts. 1. 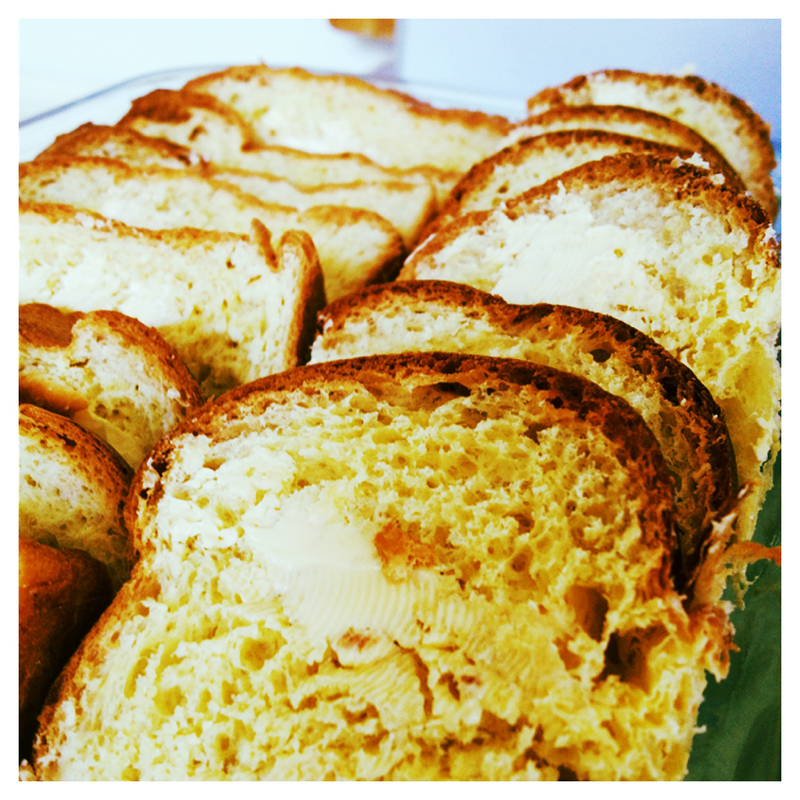 Thickly slice the brioche into around 9 – 10 slices and butter one side of each slice. Cut each slice into triangles, spread one side with butter and layer in an ovenproof dish. 2. Mix the cream and custard together then pour in on and around the bread. Press the bread down slightly. Leave to stand and absorb for 20 minutes. In the meantime preheat oven to gas mark 3/160 degrees C.
3. Scatter the pudding with the berries and tuck them under the slices. Break the chocolate into small pieces if using, scatter it over the pudding. Place dollops of the lemon curd over the pudding. 4. Bake for 45 – 50 minutes. Leave to stand for 10 minutes before serving with your favourite accompaniment – cream, custard or ice-cream. 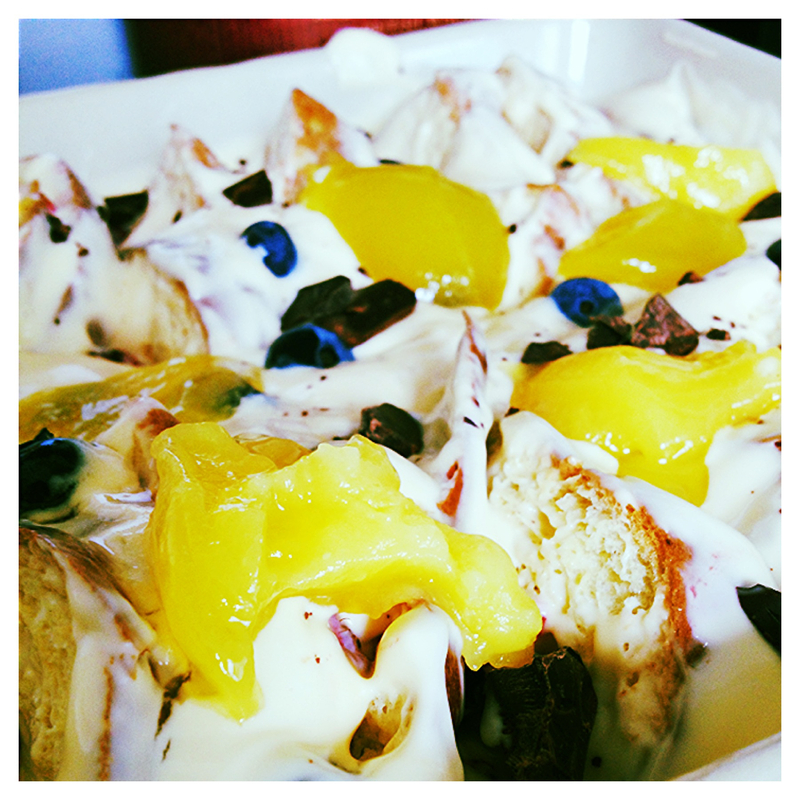 This entry was posted in Recipes and tagged baked, blueberries, bread, bread and butter pudding, brioche, butter, cream, custard, dark chocolate, double cream, hot, ice-cream, lemon curd, oven, pudding, raspberries. Bookmark the permalink.